SANTA ANA — A jury recommended the death penalty on Jan. 11 for a man convicted of using a firearm to murder his neighbor for financial gain and murdering the victim’s friend in an effort to derail the investigation by framing the first victim. Daniel Patrick Wozniak, 31, of Costa Mesa was found guilty by a jury Dec. 16, 2015, of two felony counts of special circumstances murder with sentencing enhancements for committing multiple murders and murder for financial gain. The sentencing enhancement for the personal discharge of a firearm causing death was also found true. Wozniak is scheduled to be sentenced March 11 at 9 a.m. in Department C-30, Central Justice Center, Santa Ana. This case was investigated by the Costa Mesa Police Department (CMPD) and is being prosecuted by Senior Deputy District Attorney Matt Murphy of the Homicide Unit. The Orange County District Attorney’s Office (OCDA) is handling this case as a special prosecutions case, supervised by District Attorney Tony Rackauckas and prosecuted by a specially selected OCDA team. Other cases prosecuted as special prosecutions have included the death penalty cases against Rodney Alcala and Alejandro Avila, the public corruption case against George Jaramillo, and the 19-defendant, $154 million Unity insurance fraud case, the largest medical fraud prosecution in the nation. 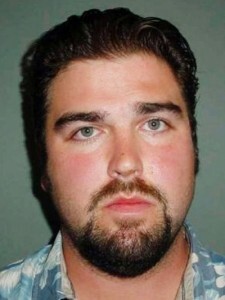 Prior to May 21, 2010, Wozniak plotted the murder of his neighbor, 26-year-old Samuel Herr, who lived in the same apartment complex, with the intention of stealing the victim’s substantial savings. On the afternoon of May 21, 2010, Wozniak lured Herr from their Costa Mesa apartment complex and drove him to the theater facility at the Los Alamitos Joint Forces Training Base. Wozniak was familiar with the theater because he had previously acted in plays at that location. Once inside the theater, Wozniak murdered Herr by shooting him twice in the head. He then left Herr’s body in the theater and stole the victim’s ATM card, wallet, and cell phone. Later that evening, Wozniak used Herr’s cell phone to text message Herr’s friend, 23-year-old Juri “Julie” Kibuishi. Wozniak was acquainted with Kibuishi and was her “friend” on Facebook. Wozniak pretended to be Herr in the text messages and arranged with Kibuishi to come to Herr’s Costa Mesa apartment. The apartment is located in the Camden Martinique complex at 2855 Pinecreek Dr. Shortly after midnight on May 22, 2010, Kibuishi arrived at Herr’s apartment. Wozniak met her at the door of Herr’s apartment and lured her inside into the bedroom, where he murdered her by shooting her twice in the head. Wozniak then partially removed Kibuishi’s clothing to stage the crime scene to appear as though the victim had been sexually assaulted. On the afternoon of May 22, 2010, Wozniak returned to the theater, cutting off Herr’s clothes and dismembering the victim’s body by removing his head, left arm, and the lower portion of his right arm. He left the victim’s torso and legs in the theater and took the dismembered body parts to discard them in El Dorado Park Nature Center in Long Beach. The park is a large nature reserve with trails and two lakes. 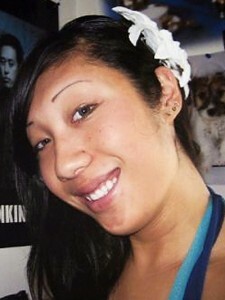 At approximately 9:20 p.m. on May 22, 2010, officers from CMPD discovered Kibuishi’s body upon responding to a call regarding a possible murder from Herr’s father, who had gone to the Costa Mesa apartment to check on his son. Herr’s whereabouts at that time were unknown and he initially became the primary suspect in Kibuishi’s murder. Following the two murders, Wozniak gave Herr’s ATM card to a 17-year-old acquaintance and instructed the minor to withdraw money from the victim’s account at various ATMs in Long Beach. Costa Mesa detectives investigating the case learned of the ATM withdrawals and arrested the minor after observing him using the victim’s bank card. In all, $2,000 was taken from Herr’s bank account. 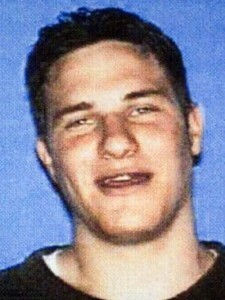 Based on information learned through the ongoing investigation and the arrest of the juvenile, Wozniak was arrested for the murders of Herr and Kibuishi May 26, 2010, at Tsunami restaurant in Huntington Beach. Wozniak was at dinner celebrating his bachelor party in anticipation of his upcoming wedding, planned to take place in Long Beach that Friday, May 28, 2010. CMPD detectives discovered Herr’s body May 27, 2010, at the base. A search for Herr’s dismembered body parts at El Dorado Park Nature Center was conducted by CMPD with assistance from the Long Beach Police Department (LBPD) and FBI, search and rescue personnel from Orange, Los Angeles, and Ventura Counties, and investigators from the Los Angeles Coroner’s Office (LACO). The victim’s head and parts of his left arm, which were decomposed and scavenged by animals, were found over the next two days. On May 27, 2010, Wozniak was transported from the jail to Western Medical Center to be treated for self-inflicted head injuries and was released back to the jail May 29, 2010. The OCDA charged the defendant May 28, 2010. Herr and Kibuishi were both students at Orange Coast College and Herr was a military veteran. The victims’ families were present throughout the trial and the sentencing hearing. During the proceedings, Kibuishi’s brother Taka said that he had dinner with her just hours before her death and asked her to be a bridesmaid at his wedding. For their assistance in the investigation, CMPD and OCDA thanked the FBI, LBPD, Los Alamitos Joint Forces Training Base, Los Angeles County Sheriff’s Department, LACO, Orange County Coroner’s Office, and Ventura County Sheriff’s Department.